Roofing is delicate, complex work that takes years of practice to master. And even then, a dedicated roofer will continuously strive to look for newer and better ways to perfect the craft. 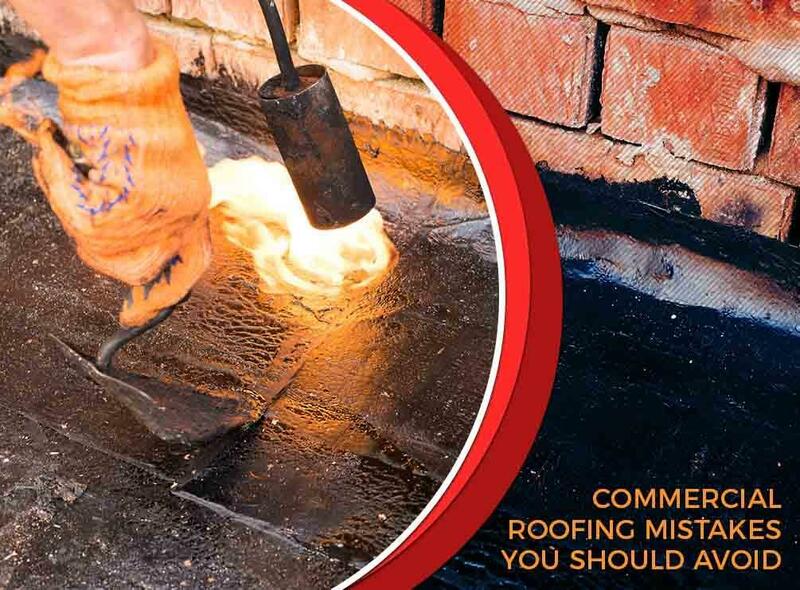 Overheating asphalt is a common mistake among novice commercial roofers. When asphalt kegs aren’t broken into smaller pieces, the asphalt can melt incorrectly. The increased temperature makes the site susceptible to fire outbreaks, which creates a safety hazard for everyone. Substandard materials such as defective roof membrane can cause the seams in your commercial roofing system to fail due to weathering cycles. Roof leaks, decreased insulation, and shortened service life are among the problems you can expect. An experienced roofer knows how to select high-quality materials that would not put your investment at risk. Truly dependable roofers always use new materials. This includes insulation. A subpar roofer, on the other hand, might deliver old, worn roofing insulation as part of new roofing systems. This can void your warranty and make your roof vulnerable to premature failure. Frayed or damaged extension cords are a fire hazard. Before starting any roofing project, experienced contractors will do a thorough check of all electrical cords and repair or replace equipment as needed. Avoid these mistakes by working with a trusted professional. Whether you’re looking for a commercial or residential roofing expert, Complete Exteriors, LLC. is the name you can trust. We take pride in consistently exceeding customer expectations. Our service area includes Brandon and Jackson, MS. Call us at (601) 202-4273 for a free estimate.